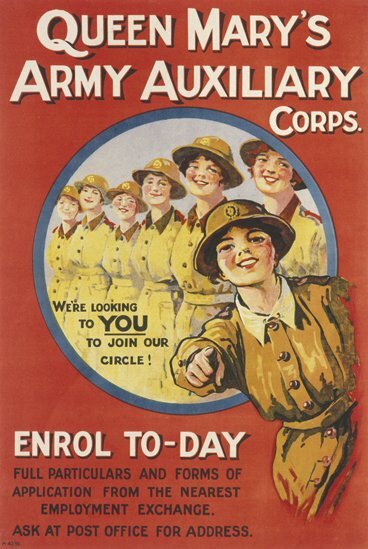 One of the most common uses of posters was to persuade men to join the army. 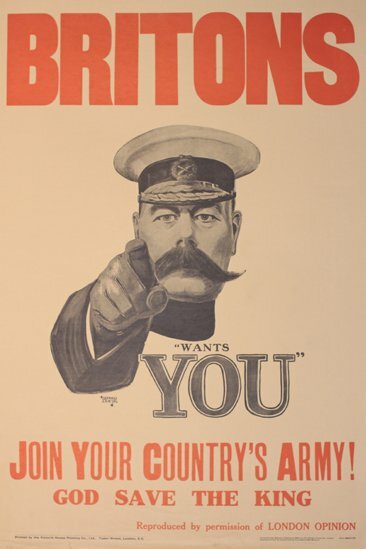 This famous poster used the face of Lord Kitchener, who died when his ship hit a German mine. 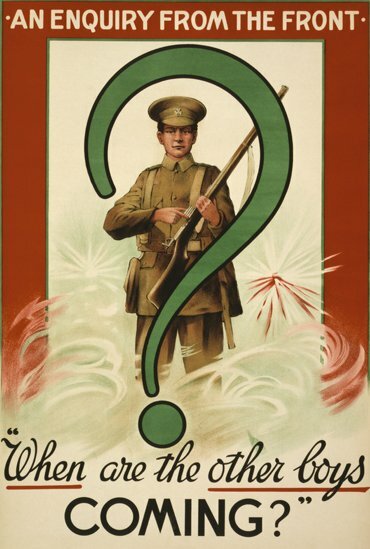 The government used posters to try to bring together people from different jobs and backgrounds to help fight the war. 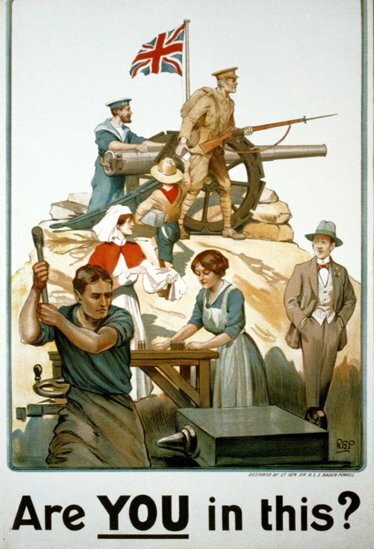 As well as soldiers, this poster shows a blacksmith, a munitions worker, and gentleman and a nurse. The theme of people from every walk of life joining together to beat the enemy was very popular and made people feel patriotic. By the end of 1914, over one million people had volunteered to join the army. 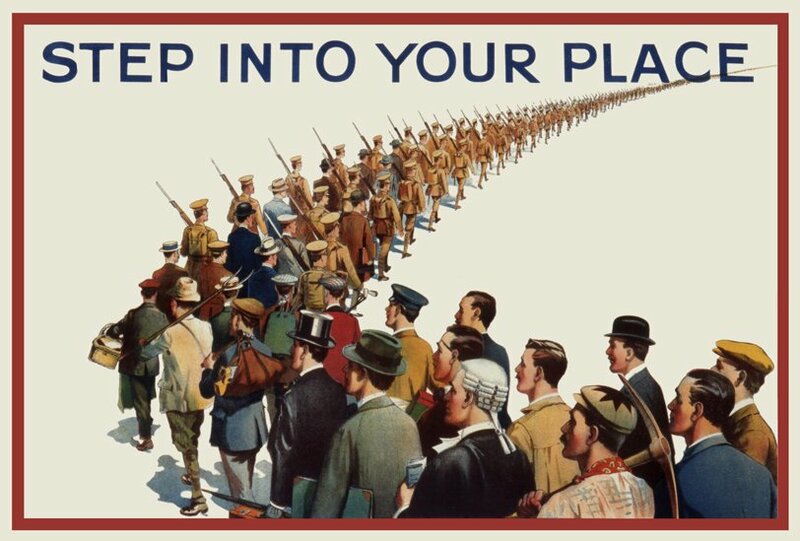 With one million men away at war, some posters tried to persuade men to join friends and family who had already volunteered by making them feel like they were missing out. 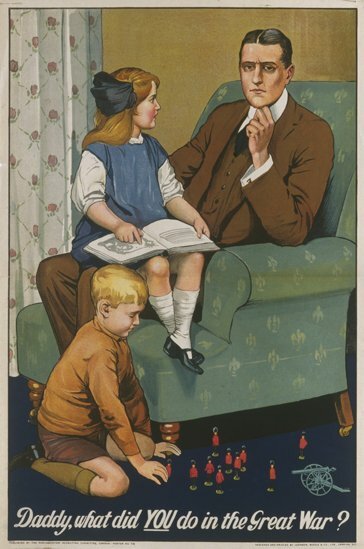 Other posters asked men to consider what stories they might tell their children after the war ended. 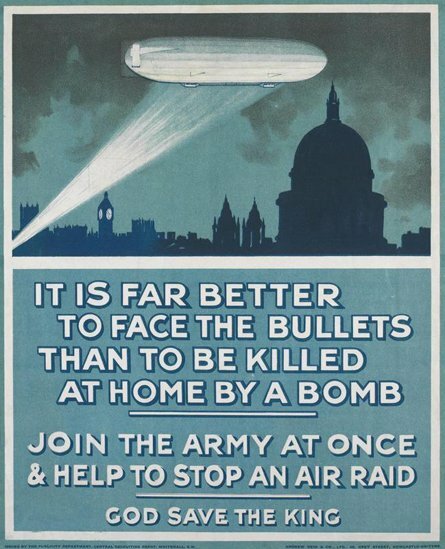 The fear and the anger that people felt against air raids was used to recruit men for the armed services. 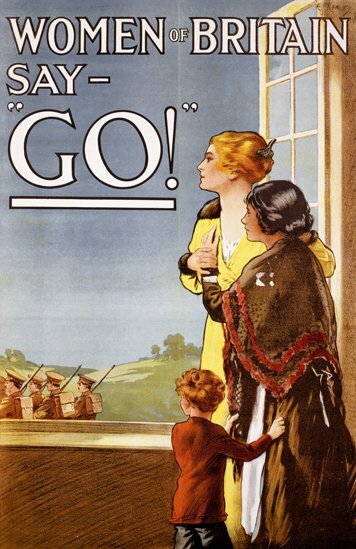 Recruitment posters weren't just aimed at men - the government used them to recruit women to help with the war effort too. 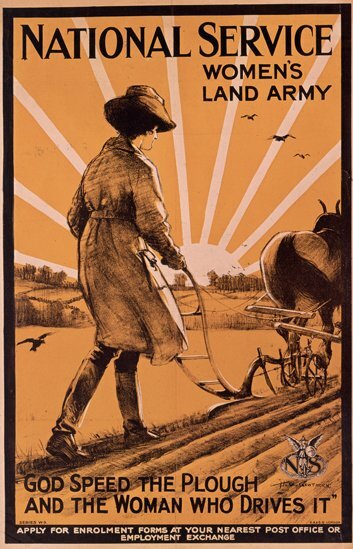 This poster is urging women to join the Women's Land Army, where they worked on farms to grow crops for people to eat. 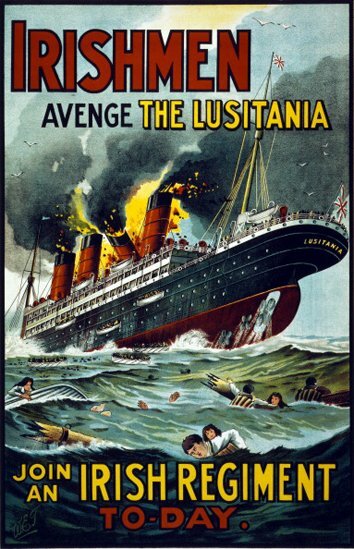 This was very important because Germany stopped food and other supplies from getting through to Britain by sea. Women were also encouraged to put pressure on their sons, brothers, husbands and fathers to join the army. 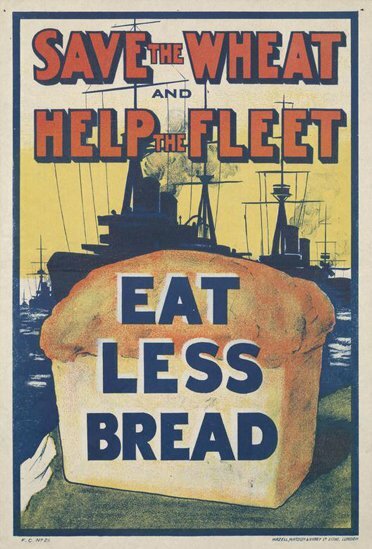 Posters weren't just used to recruit people into joining the armed forces: before rationing was introduced, posters encouraged people to cut down on resources that were becoming harder to come by - like bread.